We all know that things are terribly broken. Here's the thing: a lot of people have started grassroots, community efforts to fix them. The challenge is this: often these leaders are founders themselves, or working full time. They lack the staff and capacity of traditional non-profit organizations: grant writers, directors, marketing, PR. All of these organizations below are built by women, many working moms, who put countless hours in on nights and weekends. Their results, impact, and leverage are astonishing: hundreds of underrepresented founders supported, entire ecosystems created on shoestring budgets, international events and leadership in their respective spaces. Each is working to close the generational wealth gap by designing new futures. They need generous individuals, forward-thinking foundations, and committed corporate partners to see and support these groundbreaking efforts. People like you make all the difference. Truly. Let's get to it. How to use this list: If you are interested in supporting these efforts please donate directly or reach out to the listed contact and mention my name. An * indicates I am a co-founder of the organization. Also: did you know nearly every effort can probably use your airline miles? Consider offering them, or to purchase an upcoming ticket! PS: This list focuses on women-founded or led organizations that address civic participation, entrepreneurship, closing the wealth gap, systems change, local economies, and supporting women and people of color. I am also a proud supporter of ADX Portland, Girls Inc., The Street Trust, Street Roots, the Women’s Foundation, Young Audiences, Reed College, and p:ear. If you have an organization you’d like to share please scroll to the end of this list and let me know! And if I give to your organization and have accidentally left you off, please let me know also! PPS: If you landed here from the internet and we don't know each other here's some background. What it is: Zebras Unite calls for a more ethical and inclusive movement to counter existing start-up and venture capital culture. We just wrapped our inaugural conference, DazzleCon 17, where we brought together 250 founders, funders, and friends with the support of the Rockefeller, Ford, MacArthur, and Libra Foundations and leading investors like Brad Feld. Check out the video. We are now a program of the Institute for the Future. What it is: Created by Aniyia Williams, a co-founder of the Zebra Movement, Black & Brown Founders provides Black and Latinx founders with the community and support they need to build successful companies with modest resources. With less than 1% of venture capital going to founders of color, the most promising path to building generational wealth is focusing on revenue, profits, and returns. "We know that “bootstrapping” doesn’t look the same for black and brown founders as it does for others. Money doesn’t flow abundantly into our communities. We don’t typically have people around us to chip into a “friends and family round”, we don’t usually have access to investor networks, and we are often underestimated by investors because we don’t fit the pattern of what they are used to seeing." What it is: Native American women founders face tremendous challenges when building their businesses, from lack of access to capital to an absence of community support and resources. This summit for Native women entrepreneurs will bring together over 200 participants in New Mexico to create a community of support. What it is: Despite starting businesses at twice the rate of men, women receive 2.97% of venture capital and less than 5% of SBA backed bank loans. XXcelerate is an entrepreneurship program, peer support network, and debt fund that supports high-performing women entrepreneurs leading growth companies. The model we’ve piloted in Oregon will expand to states across the country in 2019. What it is: The city's fastest growing chamber of commerce and over 300 members strong in in a year, Business for a Better Portland makes a positive difference in the city we love by supporting equitable access to capital, safe and efficient transportation and affordable housing. We are engaging an entirely new generation of mission-driven, solutions oriented, collaborative entrepreneurs in growth sectors Our new non-profit, Friends of BBPDX, supports this provides this on-ramp to civic engagement. What it is: I’m honored to be on the fundraising committee of Visible Alliance. VISIBLE is an alliance of women activists who banded together to offer their creative services free of charge, to help organizations in their fight for civil rights, and social and environmental causes. This non-profit organization dedicated to increasing equitable access to the work of the creative industry. Their members provide creative services free of charge to organizations serving immigrants, refugees, LGBTQ+, and underrepresented communities and causes. 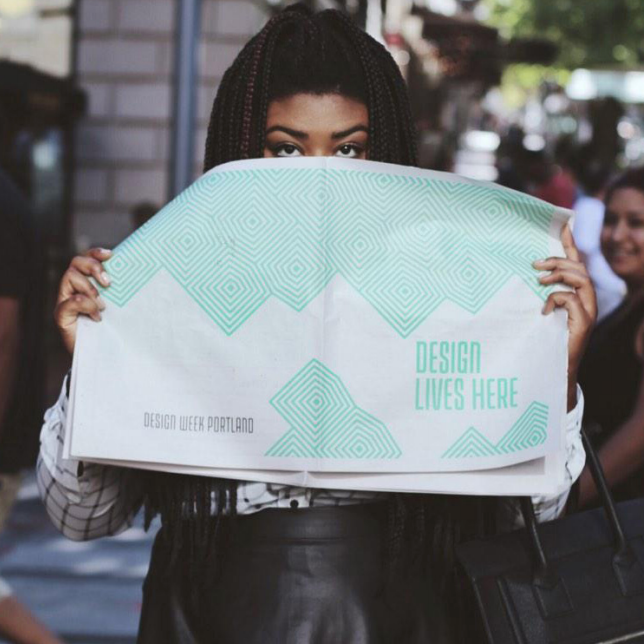 They have worked with 348 creatives and over 40 organizations. What it is: Many of these organizations require legal services, yet 86% of Americans cannot access legal help. 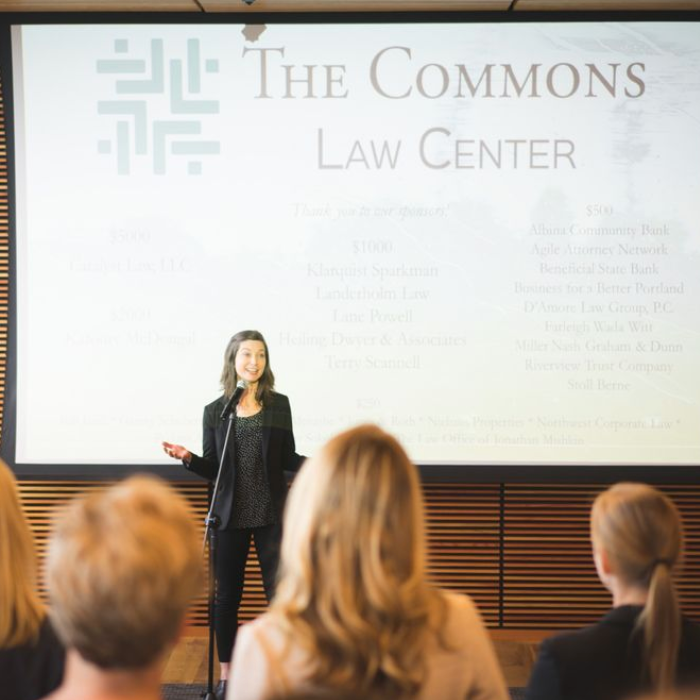 The Commons Law Center’s mission is to revolutionize access to basic legal services, information, and support for underserved people. This non-profit law firm offers sliding-scale legal services, practical training for new lawyers, and community legal education. What it is: My People’s Market is my favorite Portland event of the year. It’s a marketplace re-imagined as a gathering of Portland’s diverse and vibrant entrepreneurs, makers, artists, culinary wizards and beverage crafters. Support the community and shop at over 80 local multicultural businesses, talk with vendors, and network with local business owners of color. The market accepts sponsors to support this critical work and help to bring these products and services to a broader market. What it is: Our purpose is to empower individuals within the Portland-area tech industry by offering community and skill-building events, mentorship, and access to jobs and opportunities. We dedicate ourselves to nurturing community leaders, advocating for the underrepresented, and inspiring change both locally and in the wider world. We leverage our leadership, commitment and influence towards reducing the imbalances that exist today in an industry that is shaping the future of humanity. What it is: Albina Vision is an ambitious local development effort. Honoring the neighborhoods’s past by transforming what exists today into a socially and economically inclusive community of residents, businesses, artists, makers, and visitors. This vibrantly diverse community is anchored by intentionally conceived parks, plazas, combined with civic and cultural event spaces of different size and use, and is seamlessly connected to the river and its surrounding neighborhoods. What it is: 75 years ago, a devastating flood wiped out the city of Vanport (situated between Vancouver, WA and Portland, OR), Oregon's second largest city. 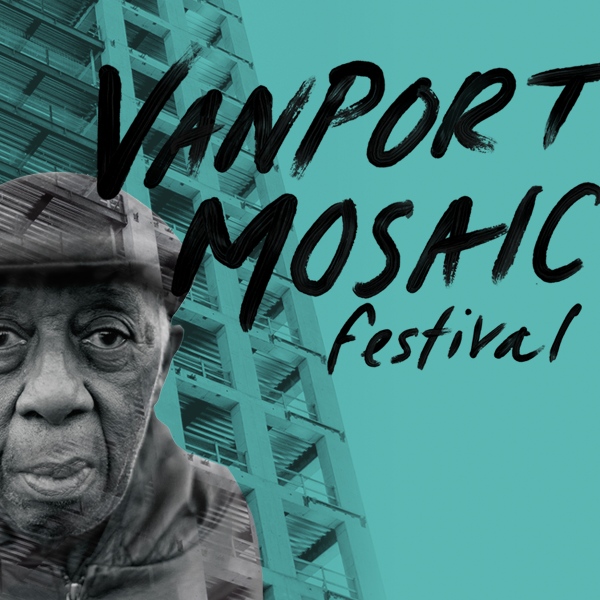 Through community histories, Vanport Mosaic Festival explores themes around home, housing, migration, displacement, the rippling effects of gentrification on affordable housing, and how unresolved issues with race-based displacement are addressed today. To understand the role gentrification has played in Portland, we must first understand the history of housing discrimination and displacement. Vanport is a critical chapter in this story. Read up: PQ Monthly, Portland Mercury, "Portland's past and future. Or: why Vanport matters." What it is: We want to transform the way humans produce and consume meat. We believe we can become responsible. We know we must become sustainable. We are certain this transformation begins with education, one person, and one community, at a time. We believe the key to changing our meat production system is education, or, rather, re-education. By teaching everyone along the food chain—from consumers to chefs to butchers and farmers—how to utilize and appreciate the whole animal and bring local, humane meat to the table, the Good Meat Project helps to support a thriving, sustainable, and humane economy of meat production and consumption. What it is: Inspired by the 2016 election, What Now? was founded as a proactive event that connects Portlanders with their neighbors, surrounding community, and local non-profit organizations, to direct that energy into positive action. Students from largely public and some private Portland-area high schools have assumed leadership and planned, organized, directed, and curated the event. The workshops and keynote speakers are all student activists. Attend their event on December 1! I love learning about new causes to support. Do you have one that you’re passionate about, or that should be added to this list for next year? Please share below and thank you! Thank you! I’m so grateful for you sharing the causes that matter to you. We really do need each other, don’t we.